Does Jamaican black castor oil have some magical properties for new hair growth? While there is no 100% cure for hair loss for everyone, either from natural remedies or medical treatments, this oil seems to give solid hair growth results to numerous people who actually used it. 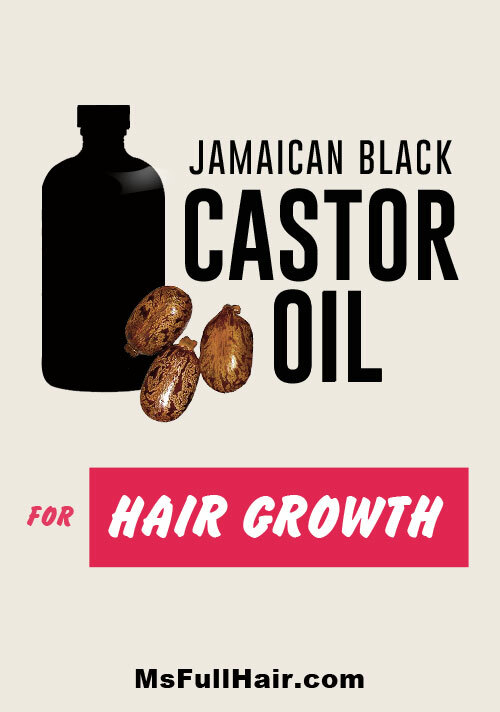 In our Jamaican black castor oil for hair growth reviews, we will talk about different types of castor oil and the main benefits, show some before and after pictures (you won’t be disappointed), and give our top 3 recommendations. The chart below shows the top 3 best Jamaican black castor oils for hair growth and hair loss prevention. Click here to go straight to our reviews on best black castor oil brand. First, what’s the difference between castor oil and black castor oil? Are there different types of castor oil? Yes – Jamaican black castor oil and regular castor oil. 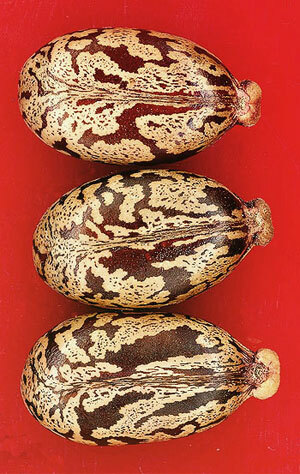 While both castor oil and Jamaican black castor oil are extracted from castor seeds, they are not actually the same. The main differences between them are how they are processed, which affect the color of the oil and the content. Castor oil often uses a cold-pressed method. This means that instead of heat, high pressure is added in order to squeeze out the essence of oil from crushed castor seeds. You can tell when a castor oil is cold-pressed by looking at the color. Cold-pressed clear castor oil has a light translucent yellow color. On the other hand, the first step of producing black castor oil is to roast the castor seeds, which form natural dark hues and a pile of ash. These roasted beans, along with the burnt ashes, are then used in pure extraction and come out as dark brown colored oil. According to Sunny Isle, the more ashes contained in the oil, the more effective black Jamaican castor oil is (this one has the highest ash content). 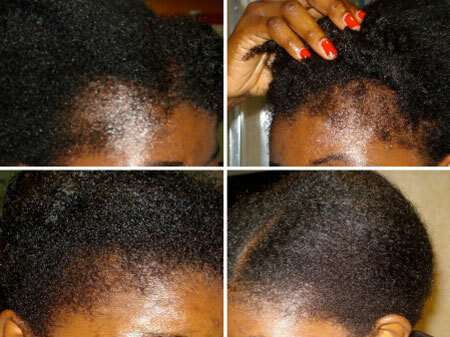 What is black castor oil used for and what are the benefits? Here is a list of benefits. As you can see, there are multiple Jamaican black castor oil benefits for hair and skin. NOTE: If you are looking for hair growth stimulating natural oils, make sure to read our reviews on peppermint oil and rosemary oil. 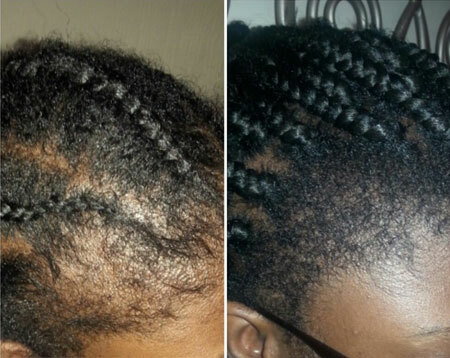 Here are the before and after pictures from actual users of Jamaican black castor oil. As you can see, many of these photos show BIG improvements in terms of new hair growth! How long does it take for Jamaican black castor oil to work? Based on customer reviews from people who used Jamaican black castor oil for hair loss, you can expect to see new hair growth results in about 1-2 months. How to use Jamaican black castor oil for hair growth? Here is a step-by-step process on how to use Jamaican black castor oil for hair loss. For hair loss: Please note that people experiencing hair loss in the frontal hairline, edges, or crown areas should follow the above steps daily for each thinning spot. For hair nourishing: If you are simply using black castor oil for scalp nourishing purposes (without hair thinning or alopecia), once a week is recommended. Also, if you want to get faster results, consider a derma roller – Studies show that derma-rolling can stimulate 5 TIMES MORE hair growth when used on scalp. Trying to find the purest form of black Jamaican castor oil to get the maximum benefit? We narrowed them down to the top 3 options based on the purity of oil contents, company background, and hundreds of reviews from people who actually used it specifically for treating their hair loss and growing hair. 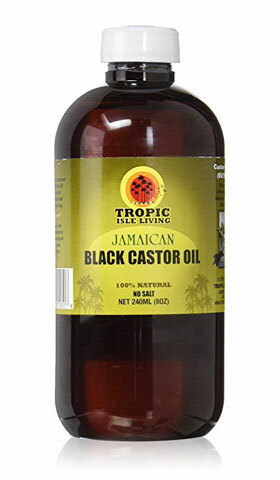 This is perhaps the most well-known Jamaican black castor oil in its category. There are over 4000 raving reviews about how this particular oil has helped with hair regrowth on thinning or bald spots. The company states that it is a hair growth stimulant that reduces hair loss and strengthens follicles. It appears to really work for numerous people and on different types of hair loss, including relaxed hair, natural hair and others. There are many customer before and after photos you MUST SEE to get a sense of how amazing this natural solution can be. While most people use it by itself, you can also mix this product with other oils such as peppermint oil and coconut oil. 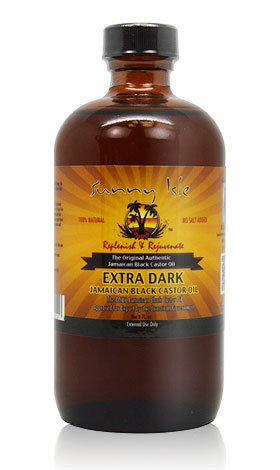 Sunny Isle is another popular brand for carrying high-quality Jamaican black castor oil. What makes this 100% organic oil formula extra special is the amount of ash contained in the oil. According to their official site, Sunny Isle added the highest content of ashes in this formula in order to give the maximum benefit of Jamaican black oil in the purest form possible. There are also many customer reviews reporting positive results in new and thicker hair growth in thinning edges. Some people also mix it with wild growth oil, another popular hair growth stimulating oil. This is also from the same company, Sunny Isle Living, but what makes this product special is the formula. This Jamaican black castor oil is enhanced by rosemary oil. In a few of our recent articles, we covered how rosemary oil stimulates new hair growth and extends the anagen (hair growth) phase. This oil is truly a powerhouse packed with 2 hair growth stimulating natural ingredients in one bottle – Jamaican black castor oil and rosemary oil – in order to give you the maximum benefit of regrowing lost hair and preventing further hair loss. Conclusion – Should I use Jamaican black castor oil for hair growth? Results speak for themselves. 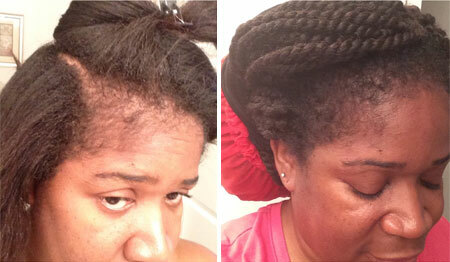 Jamaican black oil seems to work wonders for people experiencing hair loss. This powerful oil is a great stimulating agent for new hair growth and increases hair thickness in thinning spots. 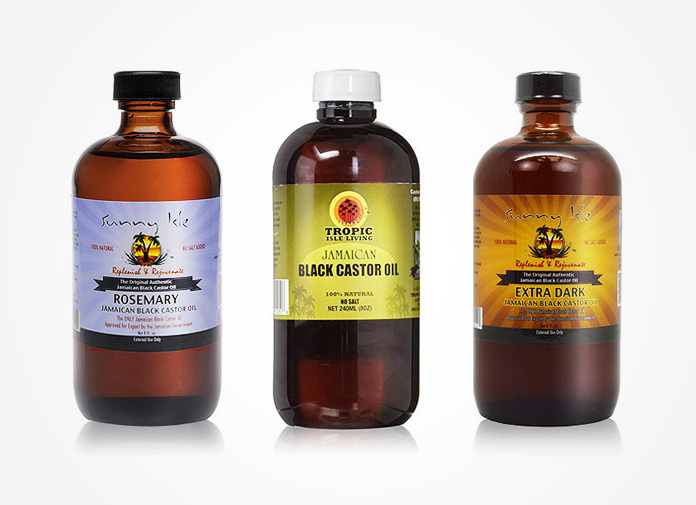 If this is your first time using this oil, try the Tropic Isle Living’s black castor oil which has been a STAPLE item for regrowing hair with 4000+ reviews. 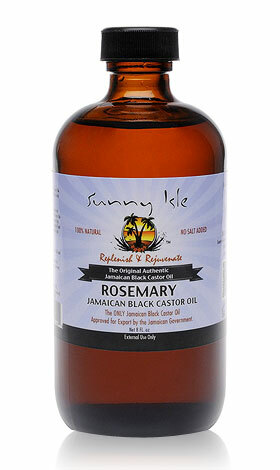 If you want additional hair growth benefits, Sunny Isle’s Jamaican black castor oil is a solid option with rosemary oil – another popular follicle stimulating herb – added in the formula. I love this amazing oil for so many things , right now I am using black castor oil to make my eyelashes longer and thicker. Can I use mix black castor oil & regular castor oil together for hair mask? Thanks… I adore castor oil, it helped my eyebrows grow and come back to my face )) As to my eyelashes, I am doing very well with Cherish Lash serum )) I simply love it as it makes my eyelashes so long and silky.